American, NCAA, and U.S. Open record holder, David Nolan, is joining Commit Swimming’s team as a business partner and swimming ambassador. 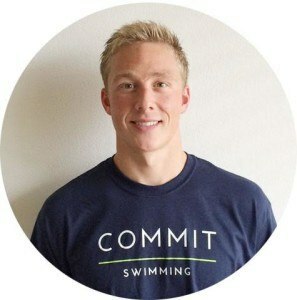 According to his LinkedIn, Nolan will work alongside Commit’s founding team to grow the company’s swimming platform, which is providing tools to write and analyze swim workouts. Commit’s current product is a workout manager for coaches, but Nolan is helping the company with an athlete application that’s currently under development. After speaking with Nolan, it sounds like the first version of the athlete application will allow coaches to send their workouts to athletes after practice so they can have a training log on their phone. 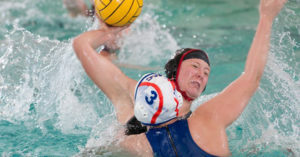 The second version will allow athletes and swimmers that aren’t part of a team to record their own workouts by simply “texting” their sets into the mobile app. Commit then uses their proprietary set reading algorithm to organize the data for them. Commit launched their web-based workout manager for coaches only a couple weeks ago, and it’s quickly getting recognized as the most innovative swim software out there. Commit not only believes that better data helps make better training decisions, but also that building a network where coaches can write and share workouts will inspire ideas across all levels. Nolan’s involvement with Commit Swimming isn’t the only way he is getting involved with swimming beyond his training under Bob Bowman. Nolan is also a clinician for Fitter & Faster, where he helps swimmers with technique and racing skills. For those in the Eastern Region, be sure to check out the Two-Day Elite IM Racing and Transitions camp where Nolan will be teaching. See Commit Swimming’s HQ here. Follow Commit Swimming on Twitter here. Like Commit Swimming on Facebook here. Explain the advantage of this system over the current apps available to any smartphone. I can already create & send images, photos, texts, files with or without voice recognition. Quickly recognized as the most innovative after 2 weeks. Is that just a sales pitch from Commit? There are so many applications and web portals like this out there. All at a very affordable price and some provide more data than you can ever use. What makes commit different? Are you guys angel investors or something? What’s with the interrogation?